Dashboard Cameras, are they Useful? 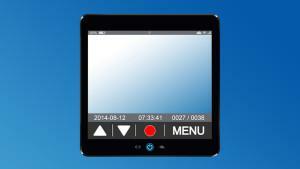 Dashboard cameras, or “dashcams,” have been on the rise in Europe and Asia for a while now. They sometimes even capture some unique or even terrifying events—the TransAsia crash for example. They originally became very popular in countries where horrible driving practices regularly occurred. But are dashboard cameras useful when it comes to car accidents and insurance claims in the U.S.? A dashcam is an onboard camera that is attached inside your car either on the dashboard, the windshield, or the review mirror. Once turned on, the dashcam continuously records the road ahead while the car is in motion for as long as the internal storage card (SD card) allows. It provides an objective view of what is happening on the road in front of you. The video is set to record over itself when capacity is reached, but dashcams are designed to save video in the event of a crash or sudden stop. The driver also has the ability to manually save video. An interesting article from the UK’s The Guardian, discusses drivers using dashcams. The article mentions that a research company found dashcam sales have increased by 918% between January of 2014 and January 2015. The article also covers what you should consider if you are thinking of buying a dashcam, from the type of lens (single to multiple), where you want the camera attached, rear-facing lens, memory cards, GPS functionality, and more. Another interesting article from the San Francisco Chronicle discusses why Americans don’t use dashcams. This is particularly interesting because Americans love their electronic gadgets. It’s noted in the article that dashcams are a relatively “new concept in the camera category.” According to the article, because most U.S. drivers have insurance “they place more trust in the police to properly investigate and determine who is responsible” when in a serious accident. Or maybe it’s the idea that Americans feel they are invincible and don’t need a camera. Also, there’s the cost. Is $100 or more a good investment? These are all discussed as to why Americans haven’t really joined in with other countries use of the dashcam. However, even with these advantages, given the somewhat new use of dashcams, and the lack of use by many, there may be disadvantages that we are just not aware of at the moment. If you decide to purchase a dashcam think about why you want one, and make sure to use it in a safe and effective manner. Dashcams do have the potential of increasing distraction while driving, so please be mindful of this if you decide to use a dash cam.